Pets Costs > How Much Does a Dwarf Bunny Cost? How Much Does a Dwarf Bunny Cost? Dwarf rabbits are considered the smallest breed of all domestic rabbits, and two breeds are considered small enough to be a dwarf: the Netherland Dwarf and Polish rabbit. The cost of a dwarf rabbit will depend on the exact type, but most dwarf rabbits, commonly the Netherland Dwarf, can be adopted for $25 to $75, with the exception of show-quality rabbits. Higher quality baby rabbits, depending on the colors, markings, where you live and the breeder, can cost as much as $100 to $200. 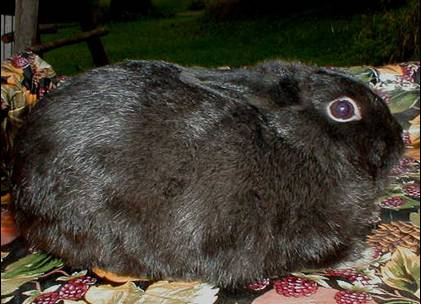 The Sugar Bunny Rabbitry, a breeder we had found online, listed her bunnies for $85 to $125. On GumTree, a popular online classified website, there were close to 25 dwarf bunny ads at the time of this writing, with prices ranging from $250 for a purebred Netherland Dwarf to as little as $70 for a fully vaccinated Netherland Dwarf. Hobbly Classifieds, another website similar to GumTree, had 50+ listings ranging from $25 to $100. A good breeder or rescue group, at a minimum, should be health checked by a licensed veterinarian and up to date on their vaccines. Most breeders should also include a small care kit, how-to care guides and a health guarantee. Adopting the bunny is just the beginning. You also need to factor in the one-time fees such as the cage ($150), food/water bowls ($10), litter box ($10), bedding ($20), toys ($15), grooming materials ($20) and a small carrier ($25). Aside from the one-time fees, the recurring fees, as with any pet, will include the hay, which should be readily available 24 hours a day ($10/month), greens/veggies ($30/month), pellets ($5/month), litter ($10/month) and occasional vet visits ($75 + any tests needed). At adoption, if your breeder didn’t include the vaccinations, then this should be considered. While they aren’t required in the United States, dwarf rabbits are susceptible to Myxomatosis, a viral disease transmitted through parasites and viral hemorrhagic disease, a deadly form of calicivirus. Aside from these vaccinations, it’s also best to use a flea medication and worm at least twice a year. Some breeders may ship a bunny upon adoption if one isn’t readily available in your area. Shipping, depending on the distance traveled, can cost $200 to $300. The Netherland Dwarf, a compact rabbit with short ears, weighs less than three pounds and comes in a wide range of colors, including black, white, orange, tortoiseshell and agouti. The Polish rabbit, on the other hand, has a slightly smaller head and narrower shoulders when compared to the Netherland. The Polish can weigh close to four pounds and is available in similar colors. Both rabbits measure eight to 12 inches. The average lifespan can range from six to 12 years in captivity. At indoor cage, if you prefer to keep your rabbit indoors, should be, at a minimum, four to six times larger than the rabbit’s length. A good cage should allow a rabbit to make three to four consecutive hops from one side to the other. If left outside, a shelter is extremely important to protect your rabbit from the outdoor elements. When choosing greens or vegetables for your rabbit, safe choices, according to the University of Arkansas at Little Rock, includes broccoli, bell peppers, carrots, endive, kale, mint, parsley and radicchio. Fruits, while you can use them, should be kept to a minimum. Consider adopting instead of buying one. There are countless rabbits that need a home, and the adoption fees can be much less than buying a show quality rabbit. Feeding a bunny is relatively cheap, but you can cut down on the costs of hay if you live near a hay farm. According to BinkyBunny.com, if you live near a hay farm, horse hay, when purchased in bulk, can bring the costs down. Actually was able to find one at a local fair. The girl was getting rid of hers and was able to get a decent deal for a show-quality bunny.